Southampton SETsquared member, NquiringMinds, was chosen to travel to India in November as part of Prime Minister Theresa May’s first trade mission. NquiringMinds is a pioneer in Internet of Things technology, which links everyday objects and appliances into the web and it is using its expertise in the move towards smart cities, where technology is harnessed to make urban life easier and more efficient. The firm, which is based in the University of Southampton Science Park, was part of a delegation fronted by Theresa May to show off the best of British small and medium sized companies to Indian investors. NquiringMinds joined 30 other small and medium sized firms in seeking new business on the trip to one of the world’s biggest economies. The visit included South Asia’s largest tech fair. 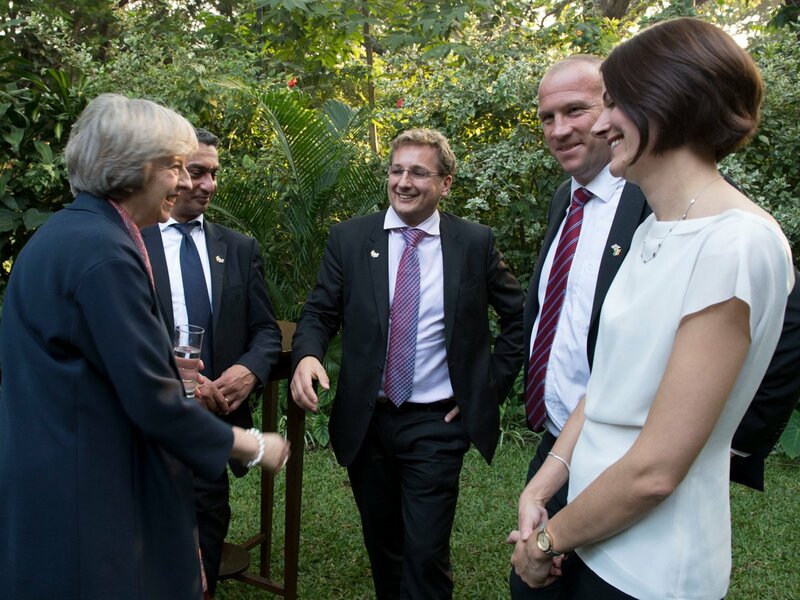 The UK-India TECH Summit was hosted in New Delhi by the Prime Minister and her Indian counterpart. It is designed to help boost hi-tech trade between India and the UK.